Cover of first comic book about Marx, Lingfengzhe (The Leader). Photo: Courtesy of Zhejiang Juvenile and Children's Publishing House. From emojis, stage plays and animation to comic book, China is producing various products about Karl Marx, who is regarded as the millennium's greatest thinker, in a bid to popularize the political figure among Chinese teenagers. 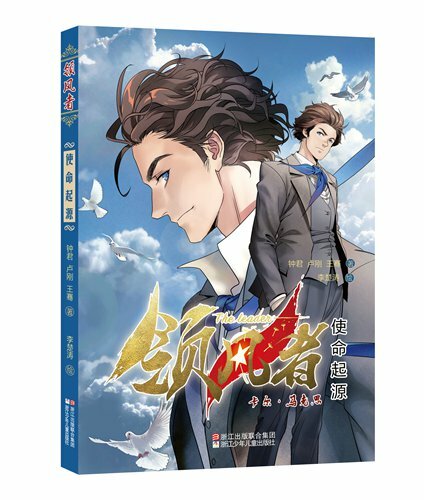 The first comic book about Marx, Lingfengzhe (The Leader), was recently released and shows his family, love, friendship, theory and struggle. Using Marx's life, the book explains the Marxist theory in a simple and vivid way, according to Hangzhou-based Zhejiang Juvenile and Children's Publishing House, the publisher of the book. Targeting teenagers, the comic book thoroughly relies on biographies, theory books, memoirs and classic books of the same era. It tells young readers that Marx is not only a great thinker as they learned in textbooks, but also a diligent, romantic and rebellious teenager like a normal teenager would behave, Wu Yunqin, the director of the cultural and creative department at the publishing house, also the editor of the comic book, told the Global Times on Thursday. Marx usually appears in a serious way, and his theories are difficult to communicate to the public. The new forms of teaching Marxism can attract people better than empty slogans and texts, Zhong Jun, the leading author of the comic book and research fellow at Chinese Academy of Social Sciences, told the Global Times on Thursday. The Leader production team, which was set up in 2016, tries to popularize Marx through different artistic products among all age groups, ranging from emojis and stage plays, to theme songs and TV shows, Zhuo Sina, the publicity manager of The Leader team, told the Global Times on Thursday. The team is working with different partners, and the character of Marx has been adjusted to be more suitable with the specific genre it represents, Zhuo said. The first issue of the comic book, which depicts the early life of Marx in Berne and Berlin and his fearless love story with his wife Jenny, was released in January.